Margaret Pestorius, Gimuy Peace Pilgrims. I write this today on the 15th anniversary of the disgraceful invasion of Iraq. As predicted, war in the Middle East created unprecedented devastation. Senator Andrew Bartlett in his New Matilda article says the failures of Iraq belong to all of us. 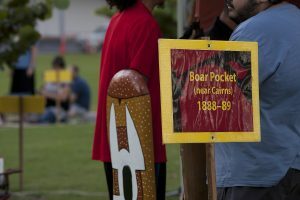 Boar Pocket – Site of Frontier violence, Cairns, 1888. Is it related to the silence and denial we have wrapped around the wars of invasion on this continent? I believe we must tell the stories of the Frontier – best we can. We must tell the stories of the the Land. And we must tell the stories of the many families and tribes and nations that suffered the atrocities of colonising warfare. We need to build these real events in our minds: So we remember how war hurts people for generations to come; so we act decisively to stop it. Never again! We call on you to gather together – First Nations people with non-Indigenous ‘migrant’ people. Tell the stories about the truth of what happened in whichever way you can figure. Let that story telling arise from your particular place, time and relationships. Take the lead! I’ve noticed that when we tell frontier war stories in partnership with Aboriginal people around the time of ‘ANZAC Day’, we also jam a spoke into the pervasive militarism that continues here. We disturb the manufactured ‘national narrative’ that overseas wars created this nation. 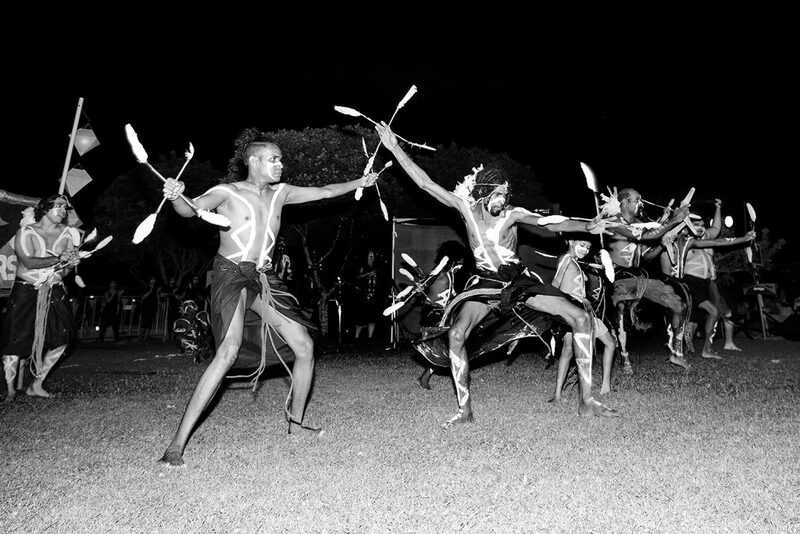 Join organised events in Canberra, Gimuy [Cairns] or Lismore. In Canberra, The Aboriginal Tent Embassy will host the the Frontier Wars Story Camp 2018 culminating in the victims of war lantern ceremony and Aboriginal people with their allies joining the ANZAC parade. Tell us if you are organising a story telling event – even something small. We look forward to seeing you and hearing about your events. We can send instructions and help about how to create great, fancy looking bannersDesigns by the marvellous Somerset Bean! What can we do? Actions for followers and friends. Create conversations between First Nations people and their non-indigenous allies about what you might do together. Strategic messaging support for campaigns and groups disturbing war and militarism in Australia. We ‘organise’ and ‘mobilise’ to #endwarculture: #nomoreUSwars #closepinegap #stopthearmstrade #stoptalismansaber #endtheUSalliance.